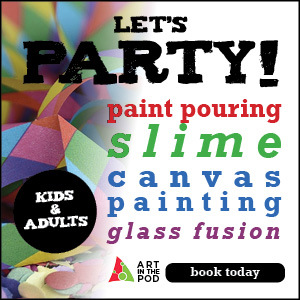 Call The Studio Today To Book Your Party. 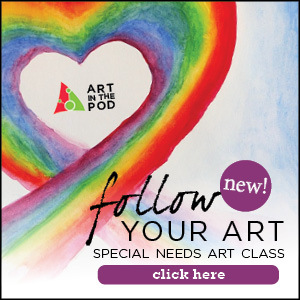 Have your next party at Art in the Pod! 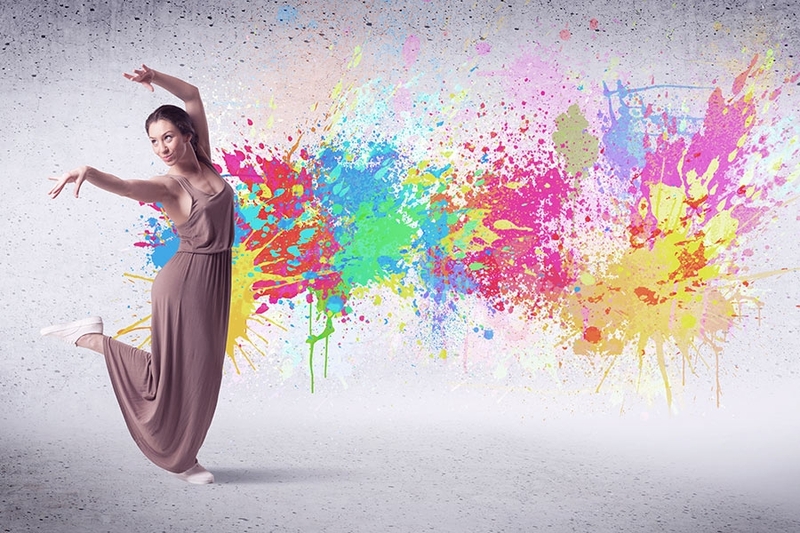 Our beautifully designed spacious art studio is the perfect setting for your child’s 2-hour fun, unique, and creative celebration for all ages. 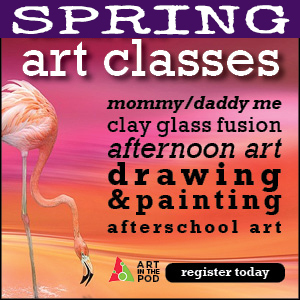 You can relax while our nurturing art instructors take care of the creative fun.The guests will be inspired to create a self-expressive painting on canvas or a beautiful glass fused masterpiece. Parties can be tailored to a special interest or theme for the guest of honor. The guest of honor will receive an Art In The Pod apron personalized by the party guests, a free art class and a special art supply gift. Everyone will be guided in creating his or her own self-expressed artwork. Your guests will go home with a masterpiece of their own creative abilities. If your guests complete their creation and there is time before the cake, we offer other creative activities. For those guests that do not complete their project, they are always welcome to come back and finish during our next open studio time at no charge (upon space availability). Ready, Set...SLIME! This 1.5-hour party is all the rage and fun for nearly any age. 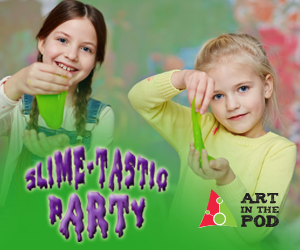 Children will enjoy different slime stations each incorporating different colors, glitter and/or decorative accents. Bring your own pizza and/or cake to add to your child's special day. Cost: $25 each guest. 10 person minimum. Slime Creation Station, Add In Station, the Play With Your Slime Station, the Contest Station and Decoration Station (for slime container). Apron (signed by guests), and gifts for the guest of honor! 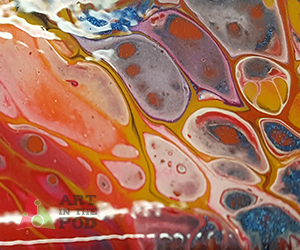 Create an explosion of colors with our new Paint Pour parties for kids! Each guest will create on their own work of art on three 4" plaster disc. Kids will choose their own colors and watch their designs come to life. Bring your own pizza and/or cake to add to your child's special day. Why have one party, when you can have two! 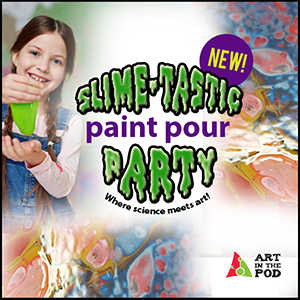 This 2-hour birthday party offers the best of both worlds by combining our Slime-tastic and Paint Pour-ty parties into one great event! Children will enjoy creating slime and pouring on one plaster disc. Bring your own pizza and/or cake to add to your child's special day. Cost: $30 each guest. 10 person minimum. (Canvas Size 11" x 14") - Cost: 20.00 each guest. 10 person minimum. (Canvas Size 16" x 20") - Cost: 25.00 each guest. 10 person minimum. Apron (signed by guest), and gifts for the guest of honor. Cost: 27.00 each guest. 10 person minimum. Painting (Canvas Size 16" x 20" )Cost: $35.00 each guest. 10 person minimum. Cost: 42.00 each guest. 10 person minimum. 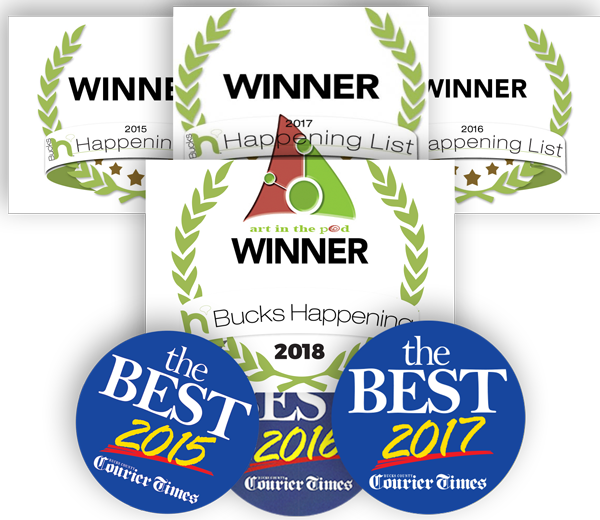 Art Parties and Event Paintings. Choose one of these paintings for your party. Are you looking for a painting to match your private party theme? If you call Nina at the Studio she will be glad to customize any painting to match your party theme.